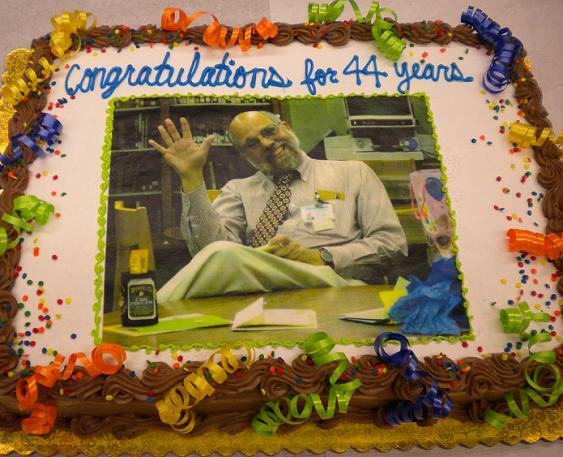 The cake at Wednesday’s retirement party for Pomona Library Director Greg Shapton, who retires today after 44 years. Like Shapton himself, the cake was unassuming, but a delight. I still can’t get my head around this, David. Greg’s ALWAYS been there. Glad you could make it to the party!